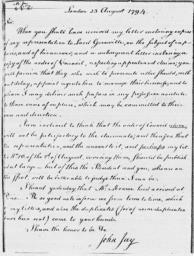 Those Americans who wish to appeal their claims concerning captures and condemnation should appoint agents in London to whom John Jay may refer such documents as relate to their cases. 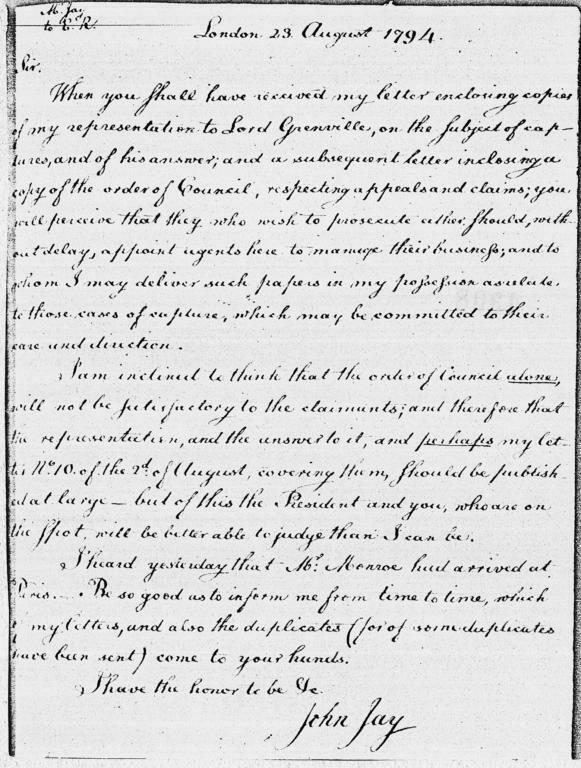 Thinks that the Order in Council concerning Appeals and Claims will not satisfy claimants, so the Representation to Grenville and the reply thereto as well as John Jay's letter of 2 August should be published. Heard yesterday that Monroe has arrived in Paris.